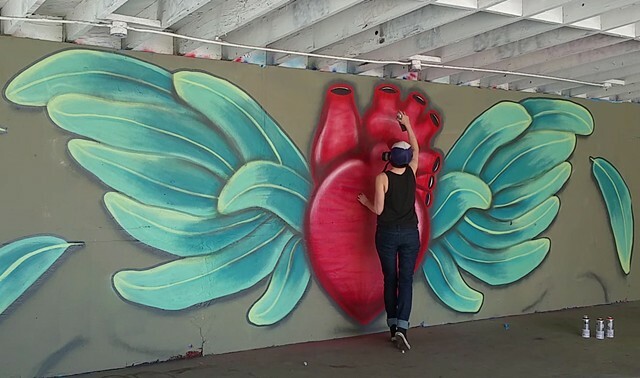 Korsen's recent work is centered around the heart in several different environments and interpretations. Showing non stop since 2009, her anatomically incorrect hearts are instantly recognizable. Korsen is currently represented by Lab Art, The Gabba Gallery, and The Hive Gallery in Los Angeles. Please contact about representation in additional cities. Commissioned work is available, please contact the artist for details. All images are the property of Jennifer Korsen and cannot be used for profit without permission. All physical work, including commissions, remains the property of the artist until payment is made in full.